A functional short sleeve shirt, made of a high Modal content fabric. Extracts moisture from the surface of the skin to the outside very well. Zip pocket fitted on the chest. 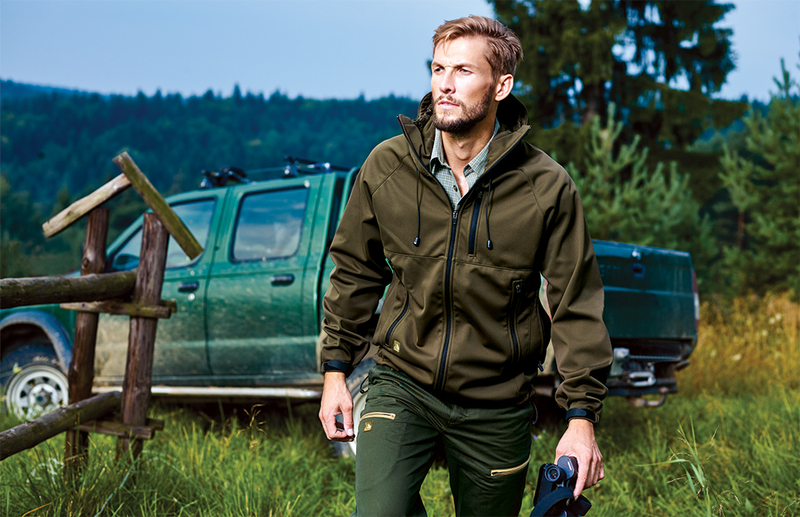 Soft shell type jacket made of three-layered fabric, with high quality membrane 10.000/10.000. Non-detachable adjustable hood. Efficiently protects from wind and cold, retaining warmth by the body. Elastic fabric and tailored cut ensure full freedom of movement. Shirt made of Modal fibre and Softshell Volda Jacket create a combination that efficiently extracts moisture from the surface of the skin to the outside. Moreover, the jacket protects against wind and cold, and thanks to the ZEPHYR system, provides effective ventilation. Lightweight, breathable trousers make the whole set is ideal for use in the field.